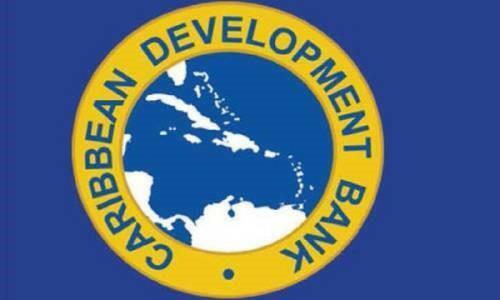 (MENAFN - Caribbean News Now) BRIDGETOWN, Barbados — The Caribbean Development Bank (CDB) is supporting the government of Dominica's goal to 'build back better' following Hurricane Maria, by extending the implementation timeline for projects under the bank's Basic Needs Trust Fund (BNTF). At a December 13 meeting in Barbados, CDB's board of directors approved a proposal to allow US$1.9 million in already-committed BNTF resources to remain available to Dominica until December 31, 2020. Under BTNF cycles 7 and 8 which began in 2012 and 2014 respectively, country projects — designed to support improvements in water and sanitation; education and human resource development; and access and drainage — were scheduled to be completed by December 31, 2018. However, the bank's board acknowledged that the devastating passage of Tropical Storm Erika in 2015 and Hurricane Maria in 2017 severely hampered the country's ability to implement the BNTF projects on time. Director of projects at CDB, Daniel Best, said the bank was sensitive to the fact that two severe weather systems in the span of three years had had a wide-ranging impact on the planned BNTF projects. 'Dominica was still in the process of recovering from Tropical Storm Erika when Hurricane Maria hit. The effects of these storms coming so close together can be seen in the persistent challenges still being experienced — especially in the construction and ancillary services sectors in Dominica. With all of the ongoing BNTF 7 and 8 sub-projects for Dominica being infrastructure or civil works this has understandably delayed progress on this work,' Best said. He pointed out that in addition to shortages of building materials; a shortage of skilled and unskilled construction workers; and heightened demand for local contractors, the staff of the local BNTF implementing agency were personally affected by the storms' passage. 'Taking all of this into consideration, CDB considers it important to recognise the challenges faced by Dominica and to continue to be responsive to the government of Dominica's commitment to 'building back better',' Best stated. The decision means that funds which had been committed but not yet disbursed will remain available to complete several important projects. These include water supply rehabilitation projects in La Plain, Salisbury, Bagatelle, Fond St Jean and Boetica, building the Grand Bay/Dubique Resource Centre and rehabilitation of the San Sauvier Primary School. BNTF is CDB's flagship programme for fighting poverty in the region.